What if I told you there’s income in those empty rooms of your home? Since 2008 Airbnb has grown to rival hotels and they don’t own a single piece of real estate. Let that sink in for a moment. Platte City is in a prime location to take advantage of short-term rentals like Airbnb. Why wouldn’t you rent a room of your home to make some extra money? Seems like a no brainer. Your homeowners insurance policy was created to protect you personally, not your business. If money is being exchanged for a service it could be classified as a business, therefore limiting the coverage you originally anticipated. Services like Airbnb tend to give homeowners insurance companies heartburn. I won’t tell you every insurance company out there won’t allow you to provide this service from your humble abode. But don’t assume your home insurance will extend coverage. Some companies may require a home-based business rider on your homeowners policy. Others may want you to have a commercial insurance policy. While some may say no period. It will vary. Sure, Airbnb offers free protection to hosts. They offer Host Protection Insurance and Host Guarantee. Airbnb refers to their liability coverage as Host Protection Insurance. Coverage extends to the host and landlord. Their policy provides $1,000,000 per occurrence should the host or landlord be found at-fault for causing injury or property damage. Example: Your guest falls down the stairs of your home accusing you of a loose handrail and carpet. They are suing you for their injuries. Liability coverage will pay to defend you and pay any settlements up to the policy limit. Airbnb will pay for “direct physical loss or physical damage” to your house or belongings caused by your guest(s) up to $1,000,000. Airbnb specifically states on their website Host Guarantee is not insurance. Let’s look at a few scenarios to see how this may work. Airbnb says they will offer you a free guarantee, but not without limitations. For starters, you will receive Actual Cash Value on most things (rather than Replacement Cost). If you do have a theft of damage to your personal property and you can collect from your home insurance you won’t be able to collect from Airbnb. Your homeowners insurance will likely deny any property related claim since you’re using your home for business purposes. There is no coverage provided by Airbnb or your homeowners policy for your guest’s belongings. 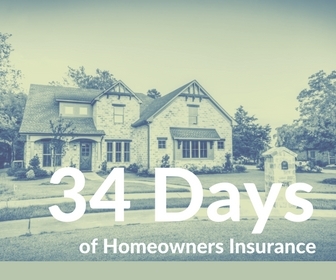 Your guest would need to look to their homeowners or renters insurance for any coverage. If you want to dig in deeper to the Host Guarantee, head on over here. Your Mom was right when she suggested reading the fine print. Typical legal mumbo jumbo, sure. Nevertheless, at least they have a specific list of what is excluded rather than leaving it open to interpretation. Below are a few things that are excluded from Host Guarantee coverage. For the full list of exclusions make your way over here. If your guest arrives early (before check-in) or stays late (after checkout) and damages your property or a liability incident occurs, you would not have coverage under Airbnb’s policy. If you notice damaged property after a guest leaves you will need to contact Airbnb and your guest to resolve the matter. Airbnb gives you 14 days from the time your guest leaves or before your next guest checks in (whichever is earlier). Airbnb will want a police report promptly for property that’s been damaged. Did your guest damage your belongings or property? You better have some kind of proof of ownership (pictures, videos, appraisal, etc). Be sure and check with your local City laws too. A lot of cities throughout the country have passed regulations regarding short-term rentals. Our friends in Weston aren’t allowed to offer home-sharing services. Kansas City has their own set of requirements. I don’t want to sound like a cynic or talk you out of starting a home-sharing service. I want you to be informed. It’s great that Airbnb is offering some coverage for their hosts, but do you think they had you in mind when they put the policies in place? Or were they covering their own tail? You buy insurance to cover your backside, right? If you lost your home today, can you write a check to replace it? If someone sued you, wiping out your 401(k), how would you sleep? My point is, if you’re comfortable with taking a risk, you’ve looked at every angle, and don’t think insurance is necessary, by all means don’t buy an insurance policy. On the other hand, if you want to take a leap, but can’t shoulder all of the risk involved, this is where insurance can be a valuable tool. Insurance is a contract. All contracts have limitations and exclusions. Don’t assume your home insurance policy should give you coverage because your coworker is an armchair lawyer.